During a trip to Lakes on Monday I stood in the middle of this plain of broken rock, watching the clouds open and close like curtains across the view to the west. Under my feet I could hear water running. Under this felsenmeer are the headwaters of the Ammonoosuc River. The water flowing under your feet and under these unbalanced boulders will also flow past small towns (Sugar Hill Station, Lisbon, Cold River), sawmill towns from the log-drive days (Bellows Falls, Turners Falls, Holyoke) and concrete cities (Springfield, Hartford). Along the coast between New Haven and New London it will roll past Poverty Island and Saybrook Point, out into Long Island Sound. 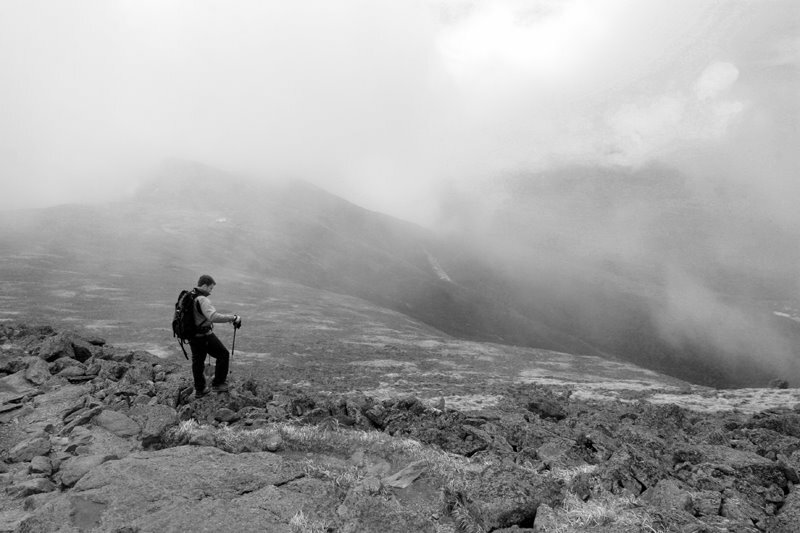 Standing above treeline in the Whites is like looking at fossilized bones in a museum, or the depressions worn into the stone stairs of a old cathedral. For a second you can almost grasp how much time extends behind you. Then a gust of wind hits you, the clouds come down, and you move on. As Nancy Slack and Alison Bell note in their Field Guide to the New England Alpine Summits (just republished this year by the AMC), the alpine zone really is a museum. 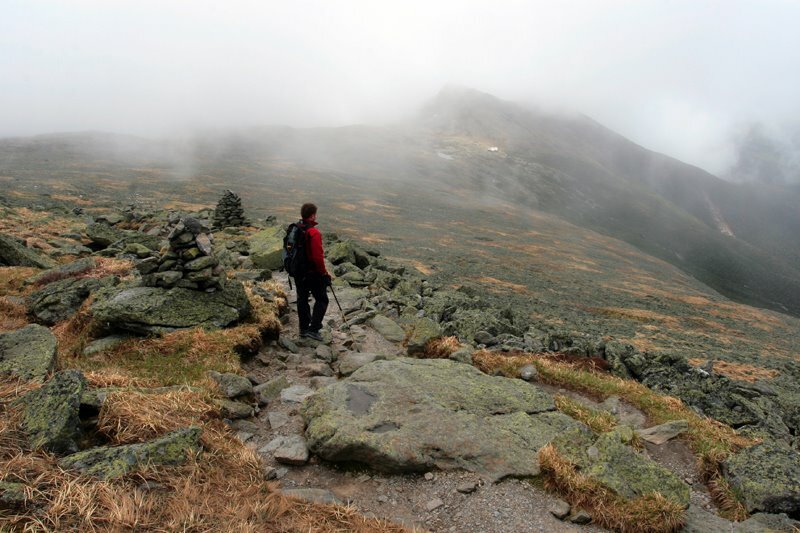 After the Laurentian Ice Sheet retreated much of New England would have looked like this alpine tundra. Sedges and shrubs clung to the rocky till while katabatic winds blasted down from the retreating glaciers. These plants grew as far south as Georgia. 13,000 years later you need to drive 500 miles north to Labrador to see these arctic plants at sea level. Or you can hike the Presidential and Franconia ridges. If you are a Mainer you can head to Katahdin. If you are in Vermont you can climb Camel’s Hump, or cross Lake Champlain to the High Peaks of the Adirondacks. Each of these small islands are outdoor exhibitions of what the Eastern landscape looked like when the global average temperature was only a few degrees Celsius cooler. The first hikers on Mt. Washington came to name the alpine plants. While Darby Field climbed it in 1642, no one regularly walked high on the mountain until naming plants in Latin became a popular pursuit for Boston scientists. Carl Linnaeus’s system for naming organisms started a race to discover and classify new plants. In the early 1920’s the tundra of the Presidentials was the Wild West of American taxonomy. The names of the botanists are as well-known to any hiker as the names of the presidents. Boott, Bigelow, Oakes and Tuckerman. Jacob Bigelow’s life was big enough that Googling him 127 years after his death brings up enough websites filled with accomplishments to make one feel distinctly lazy. A member of the Linnaean Society he taught science at Harvard. This included the “useful arts,” which he decided would be better named “technology.” He wrote a three-volume guide on medical botany and developed a new printing process for the illustrations. Jacob thought the deceased should have a pleasant place to repose, so he founded the Mt. Auburn Cemetery. This cemetery is oft en cited as the first landscaped public space in America, and the blueprint for all subsequent garden cemeteries. Bigelow is buried there, along with other famous Americans from Fannie Farmer to both Oliver Wendell Holmeses. 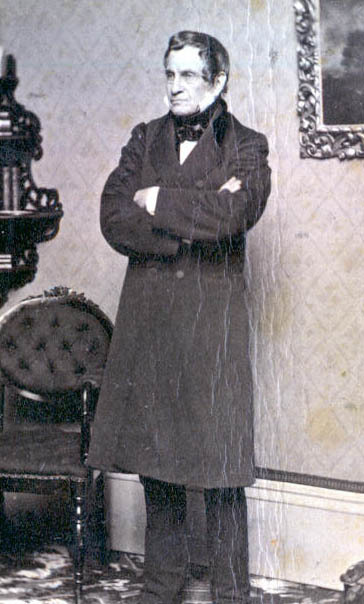 Many of the plants he and the other botanists came to name are in full bloom. 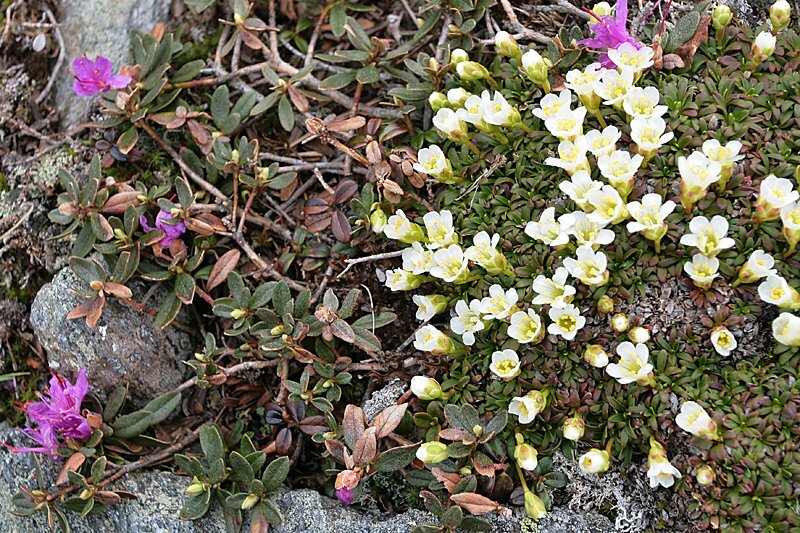 Rhododendron lapponicum (Lapland rosebay), diapensia lapponica (Diapensia) and loiseleuria procumbens (Alpine azalea) are all blooming on the slopes of Mt. Washington. As the rosebay’s latin name indicates, it is rhododendron, albeit a small one. Like an SUV compared to a hatchback, the smaller plants require less energy to run. Look at the AMC’s Mountain Watch website, or pick up a copy of the Slack and Bell field guide at one of the huts to learn more. Go soon. 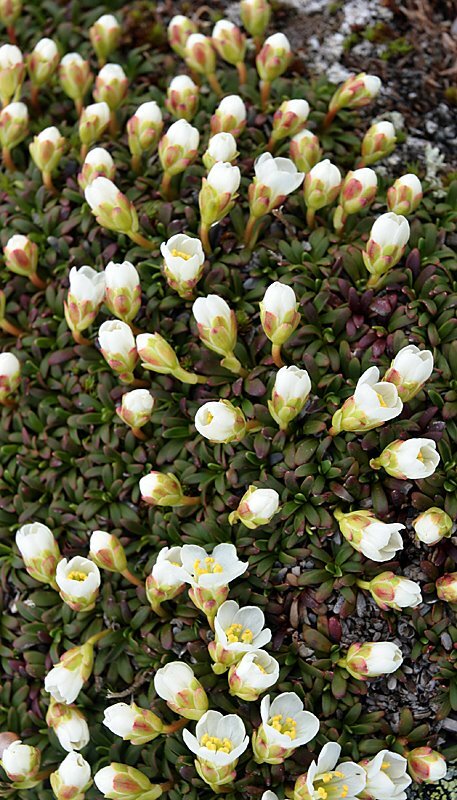 The communities of diapensia, Lapland rosebay and alpine azalea are most beautiful during the next two weeks. Also, global warming can be an abstract concept while shivering in a cold fog above treeline. However, these plant communities will not survive a significant increase in yearly average temperature. Go now.